The race begins and ends at the 4H Fairgrounds on S Chelmsford street in Westford and goes through the local quiet Westford neighborhood. Registration fees are $30.00 for adults, $20.00 for youth 17 and under, and $10.00 for dogs. (plus processing fees). There will be awards for overall male and female winners, and for first male and female youth winners. 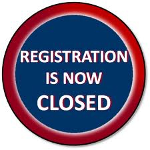 Online registration is now closed, but you can REGISTER ON RACE DAY! Beginning at 8:30am at the 4H Fairgrounds, 55 S Chelmsford St., Westford, MA. Please allow enough time to be ready for the 10:00 race start time.